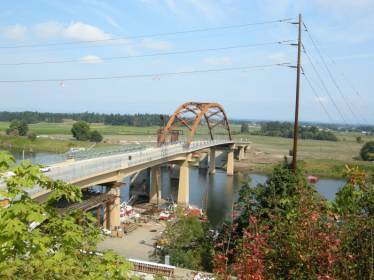 Located approximately 10 miles west of Portland, Oregon the only bridge providing access to Sauvie Island was in need of being replaced. The original concrete girder bridge was built in 1950 and quickly deteriorating. Construction started in December of 2007 to replace it with a 1,177 foot long tied arch structure. 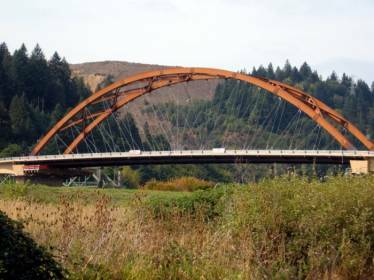 The $42 million bridge features over 1,250 tons of weathering steel. Portland Bolt worked with the local steel fabricator to supply some of the fasteners for this bridge.